The Alaskan Riviera is Alive! The Alaskan Riveria is dedicated to preserving the memory of the American TV show, Northern Exposure, which aired on CBS from 1990 – 1995. 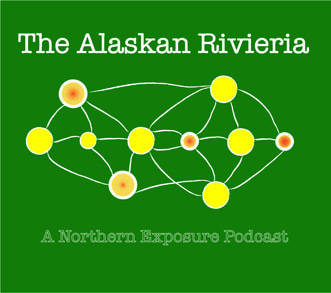 We are spreading the tales of Cicely, Alaska, through a podcast, a Facebook page, and this blog, which will feature all things Northern Exposure. We hope you join us as we embark on this journey through small town Alaska, and continue on with us as we meet the colourful characters of this eccentric and beloved show.